JANUARY 6TH 2015. LAS VEGAS, NEVADA.- After a successful Kickstarter campaign which ended summer 2014, Fon’s latest innovation in WiFi products, Gramofon, has upgraded the home audio experience with the integration of Qualcomm’s AllPlay feature. Gramofon turns any existing sound system into a wireless music player. By plugging Gramofon into the stereo and connecting it to the Internet via WiFi, Gramofon creates a seamless home audio experience. With Gramofon users can enjoy what they already know and love: their current sound system and the their favorite music apps. With the inclusion of AllPlay, Gramofon is expanding its service coverage to include a slew of music industry leaders such as TuneIn, iHeartRadio, Rhapsody, Aupeo, DoubleTwist, Soma FM and Napster, as well as the already integrated Spotify. AllPlay also enhances Gramofon’s functionality to give users the ability to play music simultaneously over multiple Gramofons. Users will be able to stream music stored locally on their iOS or Android devices and play music from their DLNA server. Fon will be at CES to build relationships with these music services and digital distributors so as to deliver the best experience possible for Gramofon users.  Qualcomm offers industry-leading WiFi solutions for superior connectivity; key to delivering multiple streams of high-resolution audio wirelessly around the home. AllPlay is built upon the AllJoyn™ framework and was developed as an open source project by Qualcomm Innovation Center, Inc. By creating a dedicated software that can be implemented in audio equipment and accessories as well as cloud music services, Qualcomm is positioning itself as one of the leading providers of high-quality multi-room audio. As other key tech players rush into the WiFi music space, the inclusion of AllPlay positions Gramofon as an industry leader with its low price point and seamless in-app experience. The Gramofon concept of a WiFi add-on allows members to use their already existing sound system – you don’t need to invest in new speakers. Gramofon brings the home audio experience to a new level without requiring any user investment or a foreign app experience. Qualcomm Incorporated (NASDAQ: QCOM) is the world leader in 3G, 4G and next-generation wireless technologies. Qualcomm Incorporated includes Qualcomm’s licensing business, QTL, and the vast majority of its patent portfolio. Qualcomm Technologies, Inc., a wholly owned subsidiary of Qualcomm Incorporated, operates, along with its subsidiaries, substantially all of Qualcomm’s engineering, research and development functions, and substantially all of its products and services businesses, including its semiconductor business, QMC. For more than 25 years, Qualcomm ideas and inventions have driven the evolution of digital communications, linking people everywhere more closely to information, entertainment and each other. For more information, visit Qualcomm’s website, OnQ blog, Twitter and Facebook pages.